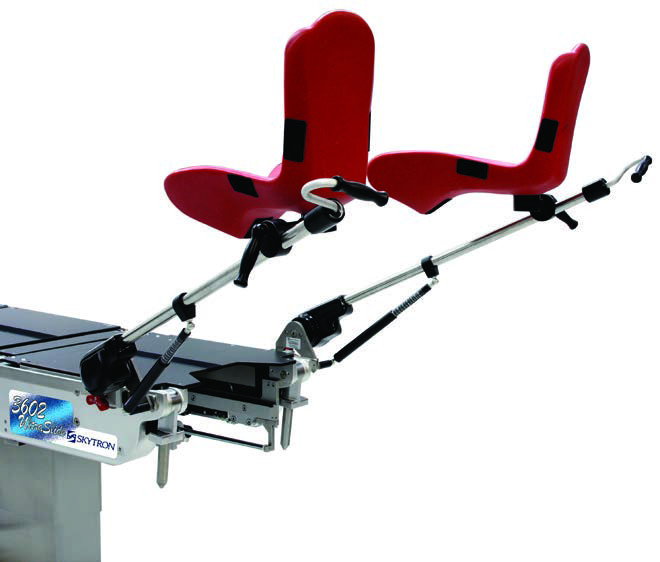 Quick – what’s the first name that comes to mind when I ask you to name a lithotomy stirrup manufacturer or brand? We’re here to educate you on not only which lithotomy stirrups manufacturers and brands are available in Canada, but also to go one step further and list out the best or most popular. The next time you get asked that same question, you’ll know exactly how to answer it! A relatively new player in the market, Kyra Medical has shook up the lithotomy positioning stirrups world with their new KYRA COMFORT™ Stirrup. Building off of the features that made the Yellofins® the industry leader for the last twenty years, the Kyra Comfort™ stirrups meet or exceed its yellow counterpart in every way. The name Kyra has variations on what it means, but if there was one way to boil it down, it would be “strong, powerful women“. The Kyra team is made up of several experts from the stirrup manufacturing field, with many of them having previously worked for Allen® Medical Systems. 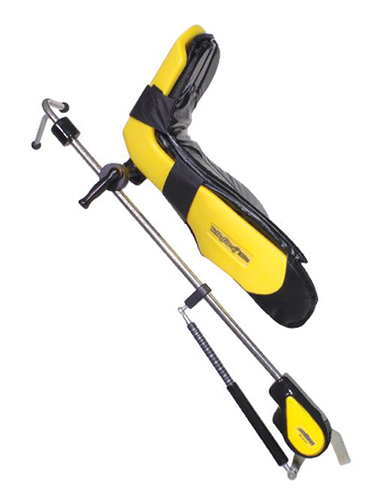 In the world of stirrups, Allen Medical Yellofins® are synonymous with quality. A lot of times, surgical table manufacturers will have a ‘compatible with’ statement, which lists out their own compatible tables. And understandably so, as Skytron wouldn’t say that their stirrups are compatible with Steris, as much as Maquet would state that theirs are compatible with Stryker. 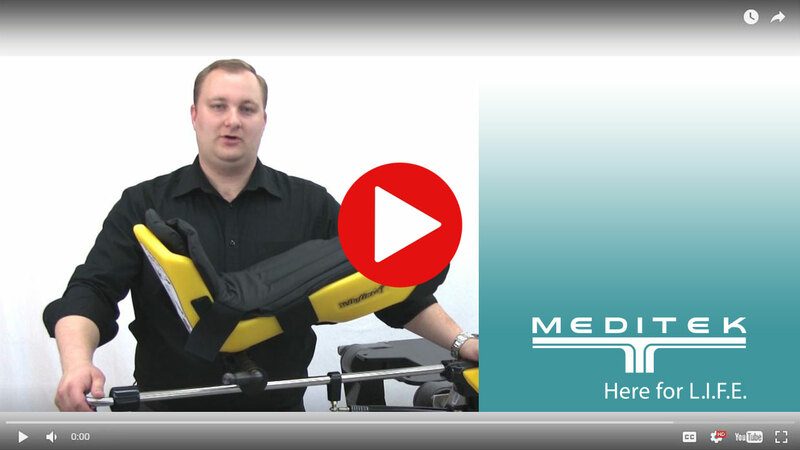 But Allen Medical Yellofins®, for the most part, are compatible with every brand and model of surgical table with siderails. Originally based in Acton, Massachusetts, Allen Medical became a world leader in accessories for OR tables after being founded in 1984. In 1999, Hill-Rom® acquired Allen. Allen® is a registered trademark of Allen Medical Systems, Inc. Most OR table manufacturers make leg supports for their tables. It just makes sense. Here is a list of the most popular surgical table manufacturers that have stirrups/leg holders. Founded in 1972, Skytron is a privately owned OEM distributor located in Grand Rapids, Michigan. Starting with a surgical light, Skytron now offers a wide range of products for the operating room, including booms, surgical tables and accessories, lights, and more. Traditionally coming from sterilization products, Steris first opened its doors as the Innovative Medical Technologies in 1985, only to be renamed in 1987 to Steris. Founded in Germany in 1838, Maquet is now a part of the Getinge Group. Maquet introduced the first motorized operating table, which was used for the first heart transplant surgery in 1967, in South Africa. Founded in Kalamazoo, Michigan, Stryker started out as primarily an orthopaedic solutions company in 1941. 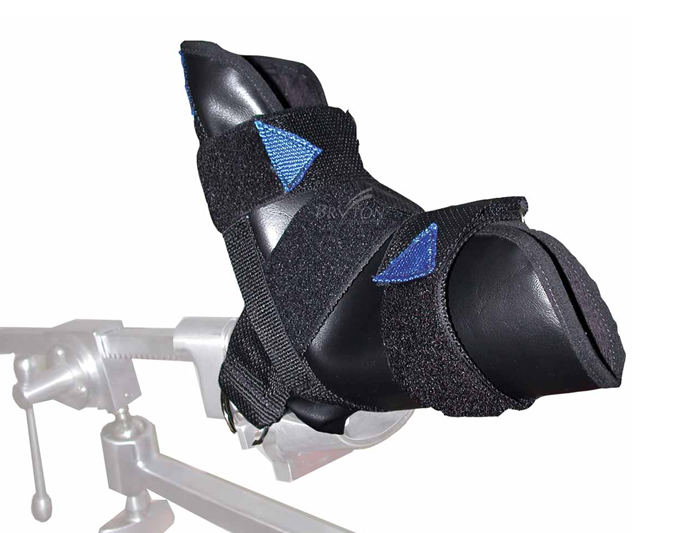 Stryker offers several types of stirrups and leg holders. While we think, in our most professional opinion, that Allen Medical Yellofins® deserve a stand-alone mention, there are a few other surgical stirrups manufacturers we want to mention. As a medical equipment manufacturer, SchureMed’s equipment is built in Abington, Massachusetts. 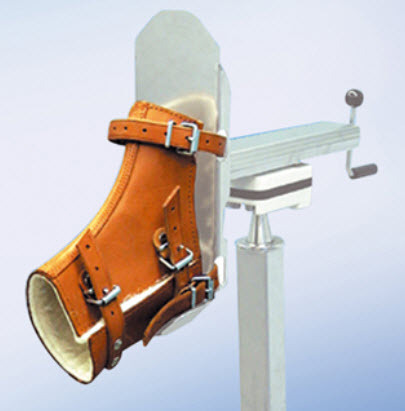 SchureMed offers several types of stirrups and leg holders. As you can see, stirrups and leg holders for operating room tables is a relatively short list of major players. The beauty of stirrups is that you can get a different brand than what your surgical table is, as they are connected via clamps on the siderails. While Allen Medical Yellofins® are recognized as the industry leader, we also don’t want to diminish the quality of the other brands. Here at Meditek, we provide new and remanufactured stirrups and leg holders. As a distributor, we have access to new and used stirrups from top quality brands. Through our remanufacturing program, we can also offer some of the top brands, such as Allen Medical Yellofins®, at a much lower cost than new while maintaining an as-new quality that is backed by a two-year, parts and labour warranty. Either way, we’re here to help you find what fits your needs. Contact us below or call us at 1.800.567.8400. You can contact us directly at info@meditek.ca or 800-567-8400 and we’ll be happy to help you out directly.